By Kobra in São Paulo, Brazil. 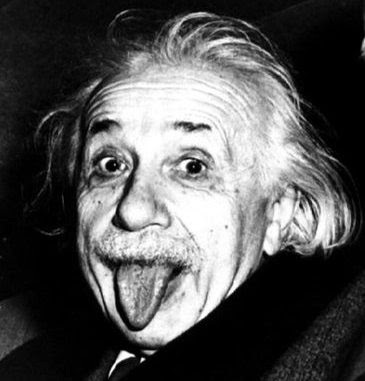 Happy 133rd Birthday, Albert Einstein! In addition to Pi Day, it's also Albert Einstein's birthday. Celebrate accordingly by having crazy hair, sticking your tongue out every time someone takes your picture, and being brilliant. EXTRA CREDIT: Throw your best Einstein-lookalike photos into the comments for maximum funtimes (use this as your template).